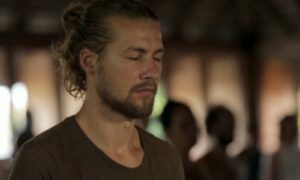 The Hridaya Silent Meditation Retreat is a unique 10-day immersion experience which focuses on accessing our real and essential nature, the supreme and divine Self, atman, through an artful integration of meditation and yoga techniques. During the retreat, we address broad aspects of the Spiritual Heart, from a variety of traditions including esoteric Christian, Sufi, and Kashmir Shaivism. The atmosphere will be one of agape and strong spiritual support. The retreat was specifically created to guide people in coming to an intimate understanding of what Self-Enquiry meditation is in order to experience the inner transformation that it brings. 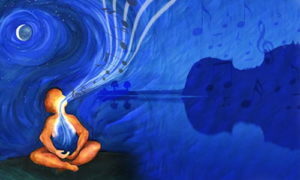 The program aims to create an experience resembling a solitary retreat (as in a cave), in order to provide the opportunity to reach deep states of consciousness, kindle intense aspiration for the Divine, and arrive at the highly focused interiorization that enables the opening of the Heart. This method is a unique integration of Advaita Vedanta, Sufism, Tantra, and Dzogchen. In the advanced stages of practice, all paths of authentic spiritual traditions meet harmoniously and merge into the same ineffable Reality. During the Hridaya Silent Meditation Retreat, practitioners will be skillfully guided to this penetrating understanding where the search for meaning ends in surrender to the domain of revelation. No previous meditation or yoga experience is necessary as this retreat is designed for beginners and advanced meditators alike. What are the purposes of the Hridaya Silent Meditation Retreat? During the retreat, our aspiration is to inform you about methods for meditation encompassing the consciousness of Oneness and Advaita Vedanta, thus leading to self-discovery of the Spiritual Heart. The system of meditation will focus on the methods revealed by Ramana Maharshi, that of atma vicara, or more popularly known as Self-Enquiry (“Who Am I?”), as well as other complementary meditations and prayers. We will inform you about the practical and theoretical aspects of this methodology, allowing ample opportunities to directly put it into practice. In doing so, we hope that you will understand the underlying principles and value the purpose of meditation, thus reaping immediate benefits, and coming to love meditation as an essential part of your life. You will learn some direct methods to pacify your mind and even to transcend it. When your mind is truly still and without any thoughts, and you transcend your ego, and you arrive at a place where you have no name, no social status, no relationships, no past, no future, no country, no spiritual attainment, and no lack of spiritual attainment. It is simply a presence of being. If a movement or a thought appears in this stillness, it is enveloped into the stillness, thus becoming stillness itself. It is as if your life becomes full and saturated with this peace and sacredness. You will also learn a way which comprises a vision, a spiritual understanding and a method of transforming yourselves. We hope most of you will learn to love meditation as a means for discovering Divine Reality, otherwise referred to as God, although these methods are beyond any specific ideas of religion or any theoretical concepts about God. We hope most of you will have some peak experiences about the Supreme Reality, some special states of consciousness about cosmic love, eternity or the unity of everything, which can be evoked afterwards in daily life. This will help you in your quest to understand the reason for your existence. Our aim is for you to realize the importance of fully incorporating the Spiritual Heart in your life, beyond concepts, theory and philosophy. The path to the Spiritual Heart journeys through your soul, and therefore, an opening and intimacy of the soul will naturally occur from this. During this retreat, we will have the chance to venture deeper than the emotional psychic level of the Heart, into the Divine Reality which represents the most profound aspect of the Spiritual Heart. Ultimately, you will be compelled to love at a level which your ego usually prevents you from accessing through blockages such as attachments, ignorance, and other negative emotions, thoughts, and beliefs. To access this level of universal love, the obstacles challenging your personality and your ego must be transcended through accessing the Spiritual Heart. Our aspiration is to support you in developing a profound understanding about the real nature of your existence and the nature of Life . More specifically, we invite you in a journey that brings a coherent vision of Divine Unity, (Advaita or nonduality), which is the main revolutionary power, the main transforming idea of Jnana Yoga, and Advaita Vedanta, Chan, Taoism, Dzogchen, and Zen. When we venture deeper than the surface of our egos into the realm of the Spiritual Heart, it is common that some purification on the physical, mental, or emotional level can occur. This is merely our bodies’ way of releasing old blockages, traumas, and negative emotions in order to access the deeper levels of the soul. Do not be afraid. Do not avoid the purification. However, don’t dramatize; don’t accord them too much importance. When those transformations eventually synthesize, meditation ceases to be boring, painful, or just a passing experience, and truly becomes a deep, joyful, and blissful experience. Depending on the individual’s level of practice and awareness, these transformations can be immediate or can take a longer time to process. However, change is inevitable and this transformation can be very stable and profound and can transform your life dramatically. So, what expectations do we need to have from the Retreat? None! Because of the ineffability of what we really are, of what Divine Reality is, this change is a natural progression that comes from stillness, surrender, and, ultimately, from within our true selves. The aim is to create the best conditions in which the Divine Reality will be revealed in our Heart. From doing this, we will experience some profound effects from these meditations. Many make the mistake of becoming attached to these effects and realizations. However, do not cling to them. In the openness of our being, much more than this is happening, and we will learn to accept, surrender and be open to the ebb and flow of these realizations. Ultimately, the most important outcome of this retreat is for us to start becoming accustomed to centering in the Spiritual Heart. This means to get used and be aware of that quiet, peaceful, infinite, and eternal foundation of our being which cannot be perceived by the rational mind, but is the source of all inspiration, love, beauty, and spiritual life. Many sages have said that Spiritual Heart is our real home. So abandon yourselves, trust and enjoy this centering. The Spiritual Heart is your axis, your hub. During this retreat, be at home, be present and integrate this practice fully for an intimate, meaningful experience. The Spiritual Heart is the “meeting place” for those who wish to relate to life in a sacred manner. Interest in the Hridaya Silent Meditation Retreat has grown consistently since we started our Meditation and Yoga Center in Mexico in 2012. As in some of our retreats we reach the maximum capacity of our halls, there is occasionally the need to close enrollment and place interested students on a waiting list for the next available retreat. We know that some people have a limited time in which they can join us. To ensure enrollment in a chosen retreat, we recommend booking early as possible—at least one month in advance. View all upcoming 10-day retreat dates below and click Register Now to reserve your spot.